2017 has only just begun, but spring will be here before we know it. For those who like to tend their own gardens, that means it’s about time to start planning, from cleaning up winter debris to plotting out areas for bulb planting. 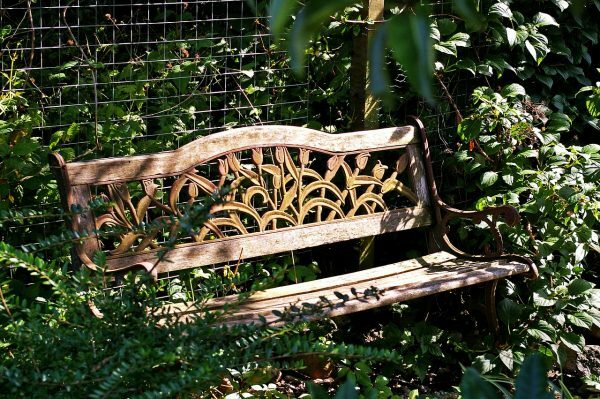 But because there’s only so much you can actually do outside before the weather warms up, now is as good a time as any to do some brainstorming about fun new ways to enhance – rather than just revive – your garden. That can mean any number of things, but here are a few ideas that might get you going. If you don’t have one already, a garden fence can make for a wonderful project to welcome spring. Keep in mind, it doesn’t need to be a traditional fence in the sense that it surrounds your entire garden area. A garden fence can be arranged or limited in all kinds of ways for decorative or protective purposes. This guide for how to put up a panel fence can be a good one to start with, as it takes you through the process without predetermining the length or size of a fence. This is a nice way to add a new dimension to your garden, and it may even give you some creative new ways to show off plants (such as through climbers on the fence or potted flowers on top of posts). You don’t want your whole garden to have a ceiling, of course. But adding a few small structures with overhangs or ceilings can make the space far more interesting, and more comfortable to spend time in. This page provides plenty of ideas for several structures alongside other outdoor gardening equipment, including arches, arbours, and even canopies, all of which can be quite striking when arranged correctly. Structures like these can be homemade or simply purchased and installed. Either way they add a vertical element to the garden and can even provide some light shade in certain areas for sunny days. Finally, and perhaps simplest of all, now is a great time to think about some outdoor furniture to fit into your garden. That might mean a rustic looking bench tucked into a cozy corner, or an outdoor dining table – perhaps placed under one of the aforementioned arches or canopies. Whatever you end up settling on, there’s all kinds of fun inspiration online when it comes to outdoor furniture. Installing a few pieces is a great way to liven up your garden before you even get your hands dirty.